We are becoming more and more dependent on technology. And it doesn’t look like this will change in the near future. Even if you’re not with Google (estimated around 1 million servers), it’s very probable that you have tens of different servers in your lab. Keeping an eye on so many is itself quite challenging, so you should get Retrospective to tail and search such configurations. Here are couple things which you might find helpful when using Retrospective to monitor a sizeable server infrastructure. As nerdy, I mean awesome, as it is to name your servers after your favorite Star Wars characters, it might actually be more helpful to use some more descriptive names here and there. When adding hosts, Retrospective allows the definition of resource description. By default this parameter is defined as user@host:port (emperor@deathstar:22), but it can be anything you want. It would be quite reasonable to include the server’s purpose in the description along with the order number. User profiles in Retrospective group log files as desired. Their names can be changed, which helps administrators identify groups of log files. It’s quite logical to have all Apache logs in one profile named, surprise surprise, Apache. 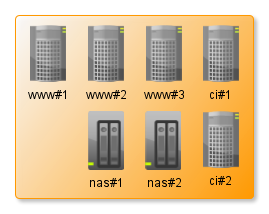 When adding a new remote host you can either define it from scratch or clone an existing one and adapt it as needed. If you have some central user authentication solution, you probably use the same login passwords combination for every machine under your jurisdiction. In such case cloning is your best bet. 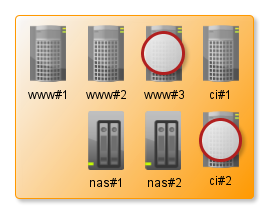 Adding a new machine will take up to three clicks and will change the host specific information - IP address. If the authentication information is very different, then don’t bother to clone existing configuration as it won’t help you that much. Cloning hosts configurations isn’t the only thing that Retrospective can do for you. As most of the servers which provide the same service, run similar configurations, you can clone once defined sources definitions to another host. If for some reason, user credentials on all servers get changed, Retrospective doesn’t make you edit the configuration of every single server. Simply open the hosts management tab, select desired hosts and click Change button to edit the password or SSH key for selected hosts. If possible, you should keep your hosts definitions list up to date, which means removing hosts which are no longer a part of your infrastructure. This way Retrospective doesn’t have to try and access log files on those hosts and can deliver results faster. Hope this will help keep your servers farm (Chewbacca, Luke, Han, Millenium_Falcon and others) in good shape.